The Protestant Reformation. Outside of Biblically recorded events and the closing of the canon of Scripture, it is arguably the most important event in church history, and one of the most important events in world history as well, yet many Christians today are unaware of this landmark incident in their heritage which birthed the Protestant church. The year was 1517. A monk named Martin Luther gripped his hammer and nailed a list of biblical grievances against the Roman Catholic Church to the door of CastleChurch in Wittenberg, Germany, much like we might post a notice to a community bulletin board today. These 95 Theses protested the Catholic Church’s unbiblical policy of selling indulgences, part of an effort to raise funds for the building of St. Peter’s Basilica in Rome. The Catholic Church had created the idea of the Treasury of Merit, sort of a “bank account” of merit deposited by Christ, Mary, the saints, and others as a result of their good works. When church members sinned, they could purchase an indulgence, which was akin to asking the Church to “transfer funds” from the Treasury of Merit to the sinner’s account. The indulgence basically excused the sinner from a certain amount of time in purgatory and/or temporal punishment for that sin. 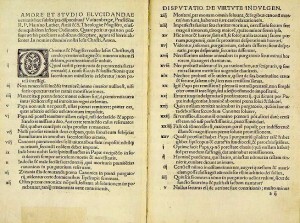 In addition to protesting the sale of indulgences, Luther’s 95 Theses called the Catholic Church to conform to Scripture by abandoning its unbiblical practices and teachings regarding the doctrines of salvation, religious authority, the nature of the church, and the essence of Christian living. One of Luther’s most cherished ideals, from which we still benefit today, was that common people should have access to both the Scriptures and worship services in their own language. Primary to the Reformation, the Bible was only available in Latin. Likewise, all masses and other church services were conducted in Latin. Luther translated the Bible into German, and was later followed by William Tyndale, Myles Coverdale, David Brainerd, and others who translated the Bible into various languages. Today, we commemorate the work, zeal, and sacrifices of Luther and the other reformers on Reformation Day. 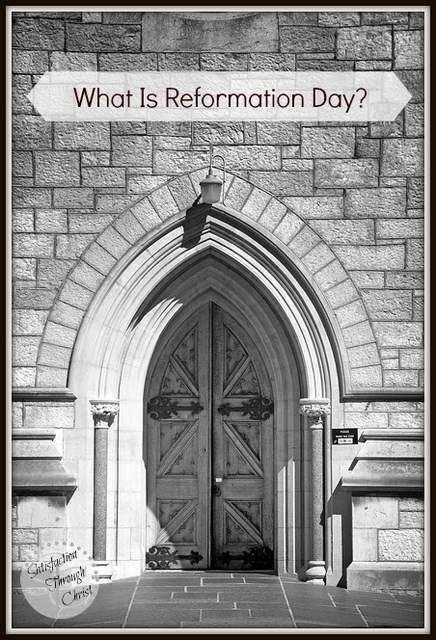 Reformation Day is observed on October 31. You’re welcome, Shirley. It is amazing how much the church fathers were willing to risk for the truth of the gospel. We are so indebted to them. You’re welcome, carmel. I am so thankful for God’s grace. 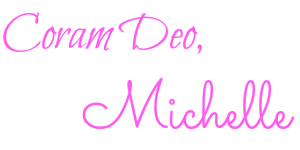 There aren’t enough penances or indulgences in the universe to make up for what I owe Him. There are thousands of individual denominations, all teaching something different and all claiming that they teach the whole truth of the Bible. as guided by “sola scriptura” and the Holy Spirit. How can this be? Is the Holy Spirit at odds with Himself so that He teaches one thing to one person and something entirely different to another? Do you really think this is a good thing? The doctrines of the Reformation were not taught by the Apostles. They did not exist for 1500 years until Luther invented them. After Luther invented his distinctly Lutheran doctrines, others came along and disagreed with him and invented their own teachings. If I were a pagan in Africa and saw 8 different missionaries from 8 different denominations preaching 8 different messages about the same God, I would conclude that the Christian religion is a religion for lunatics and nutters and have nothing to do with it. Indeed, Jesus Himself said that our unity to would be a sign to the world that the Father sent Him. What then is the disunity found in professing Christendom? Why would you want to believe in teachings and doctrines which were A.) unknown to the Apostles and B.) invented after the 16th century? Your problem is that you have been taught something about the Catholic faith that is not true and you believe it. I understand this problem because I was a Catholic-hating Protestant for 25 years and I absorbed and believed all the lies and distortions taught about the Catholic faith. Finally, one day, I managed to actually read Catholic documents and Christian history instead of the Chick tracts of which I was so fond and found that the Catholic faith is that which Jesus left for the salvation of the world. I will wait to hear your answer.